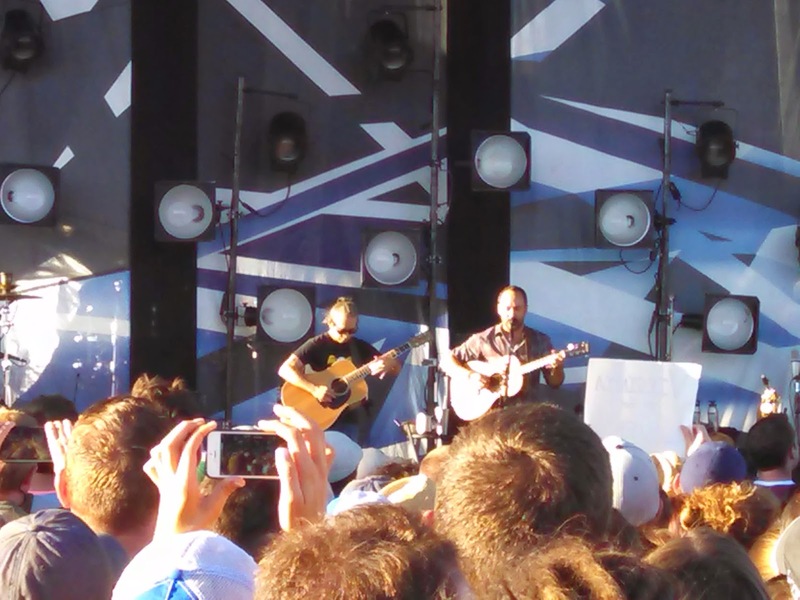 August 28, 2014 February 10, 2016 ~ Sara W.
I had the pleasure of attending the concert of one of my favorite bands, Dave Matthews Band, the other night. It was my seventh time seeing them live, but this was by far the most intimate venue I had seen them at. I had the opportunity to get up close to the stage. And, as most excited fans would, I wanted to capture the moment with my phone. Sadly, my phone had 1% remaining of its charge. I snapped a few shots before I shared the news with my husband that my phone had died. His response, “Uh-oh, looks like you’re going to have to live in the moment now.” A woman standing in front of us overheard him and chimed in with, “Now you can enjoy the concert the best way. Congratulations!” Now, if you know me, you know I am often taking pictures. My friends joke that I am the unofficial photographer for their families when we are hanging out together. Mind you, I’m not good at taking them, but I do like to be able to catch the joy of the moment. However, I get what my husband and this stranger were pointing out. I do tend to get carried away and miss out on the beauty of just being in the moment. As the concert went on, I, the usual photo taker, grew irritated with the many people who had their phones up to take pictures or video almost constantly. I found myself watching the concert through their phone screen versus being able to see the concert firsthand. One woman even held up an iPad, not a mini one either, to take video. Seriously, woman? Even I know that violates photography etiquette. I’m not saying I was suddenly converted by the remarks of my husband and said stranger, but I did my best to embrace all the wonder and excitement that was around me. Still, there were a couple times I was wishing my phone hadn’t died yet. This makes me wonder, is there a happy medium? And, if so, where is it? I find it funny that the time in your life that warrants the most capturing, which to me is when you’re raising young children, is when you have so little time to write down all the milestones and events in yours and their lives. I want to always remember that my girls tell me, “Don’t wrestle any alligators in your sleep,” as part of our bedtime ritual. They got this silly statement from their Dad and it still makes me smile. I want to remember the tone and tenderness of the way my toddler simply says, “Thank you, Mommy.” I want to remember the piggy noises my infant son makes. I want to remember all of these things. And I’m afraid my memory alone may not be sufficient. So, I try to capture what I can. And, sometimes when I get really lucky, somebody captures the moment for me, while I’m living in it. Let’s be honest though, this isn’t just about me taking pictures. This whole “living in the moment” concept extends to the overuse of social media and all the distractions it brings as well. I am so bad about getting sucked in to catching up on people’s lives via Facebook and Instagram. It’s really quite sad. My silly task-oriented self feels this sick need to see every recent update before closing out of Facebook. I have this silly fear that I’m going to miss out on somebody’s engagement announcement, or baby arrival, or health issue, or whatever the case may be. Oh, how I need to work on this part of my life. I’m assuming I’m not alone? If I am alone, tell me how you do it? How do you make a point to focus on the priorities and live in the moment? Perhaps my excessive picture taking and social media checking is more rampant right now since I am smitten by the precious expressions of my newborn and feeding him every 3 hours, which seems to pass by faster when my phone entertains me? Although, who am I kidding? This issue is not a new one in my life. So, what say ye, dear readers? Any ideas on how to better live in the moment and simultaneously capture the moment? Do you snap a few pictures and then hope your battery dies on your camera or phone? Do you set a time limit for social media use (which I tried and failed at)? Do you shut off your phone completely at the same time everyday? I feel like I keep trying to find a way to let go and make the most of the moment and my time, but something keeps pulling me back in. I tend to lose sight of the proper balance and I need your help! 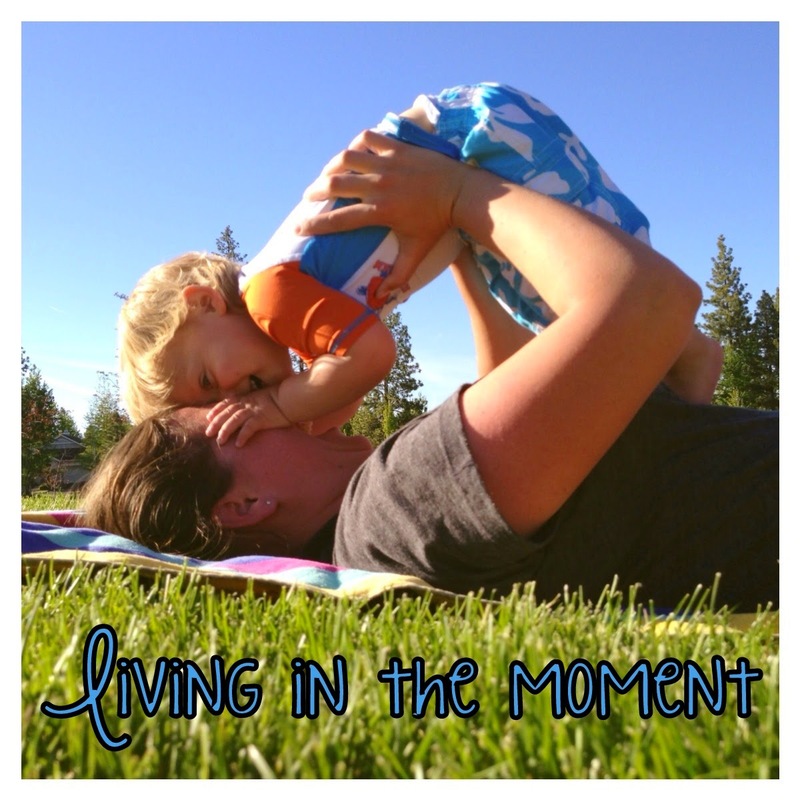 How do I capture the moment without it preventing me from living in the moment? < Previous Let Your Light Shine! I’ll be coming back here to see what people say. I’d like to know as well!